La-La Land Records and Griffith Observatory presents the original score to the acclaimed Griffith Observatory / Samuel Oschin Planetarium show TIME’S UP! Emmy Award-Winning composer Michael McCuistion (BATMAN THE ANIMATED SERIES, YOUNG JUSTICE, BROKE SKY, JUSTICE LEAGUE) crafts a powerfully out-of-this-world original score for this acclaimed Samuel Oschin Planetarium show, which thrilled audiences at the Griffith Observatory from 2012-2014, taking them on an astounding journey behind the birth and death of the cosmos and even the nature of time itself. 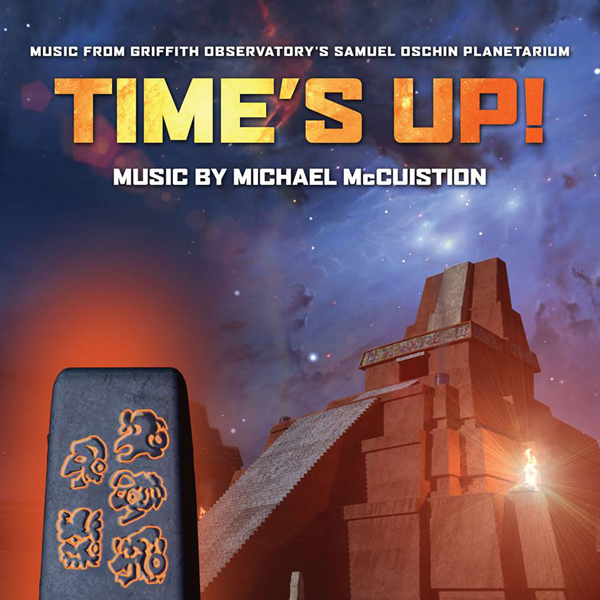 McCuistion’s breathtaking, thrilling and deeply emotional score was so notable in Time’s Up that it has been used in portion to accompany other Griffith Observatory programs and exhibits. This special release was produced by the composer, mastered by James Nelson and features exclusive, in-depth liner notes by writer John Takis and celestial art design by Dan Goldwasser. I am not sure I have ever heard of this one, doesn't mean I am not interested!